As promised, here is a second installment of From the Couch, covering the creation of a simple drawing program based on CanvasControl (included in the latest release). 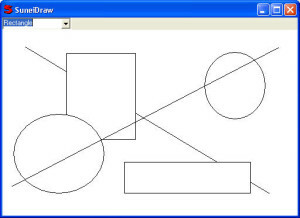 An interactive drawing program is more complicated than a simple CanvasControl, so this installment, Part 1, only covers initially drawing items on the canvas. Part 2 will cover selection, repositioning, resizing, and deleting drawing items. 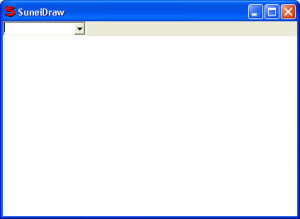 DrawCanvasControl doesn’t do a lot itself. It receives LBUTTONDOWN, MOUSEMOVE, and LBUTTONUP, extracts x and y from lParam, and then passes them on to the current “tracker”, which is set with SetTracker. If the tracker MouseUp returns a canvas item we add it to the canvas. The “dragging” flag is used to ignore MOUSEMOVE’s when the left button isn’t down. As usual, we have to remember to return 0 (zero) from Window message methods. In the Controls, Canvas has been replaced by DrawCanvas. In New we set ChooseList’s initial value to ‘Line’ and then manually call the NewValue method to set the appropriate tracker. 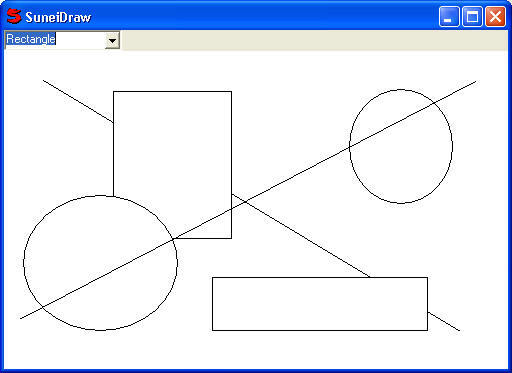 We also obtain a reference to the Canvas (actually a DrawCanvas, but we didn’t override the name). Now if we change the Controls layout, we’ll only have to change the initialization of .canvas, rather than all the places it was used. NewValue is a standard “message” sent by controls that are compatible with RecordControl whenever the user enters a new value. 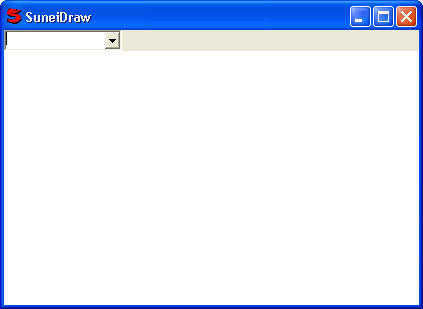 We use it here to change drawing “tools” when the user changes the ChooseList. Note: If we had more controls we’d have to check the “source” of the NewValue message. item = .item(.x0, .y0, .x1, .y1) // INCORRECT! it wouldn’t have worked because Suneido would have looked for an “item” method in the current class, which it wouldn’t have found. By writing (.item) we are saying we want to call the value of the .item member, rather than the .item method. and then Use the library from LibView. If you do work on any changes or improvements, be sure to share them with us! In Part 2 I’ll look at adding support for selecting and deleting items.